Two helpless dogs left locked in their heartless owner’s sweltering car in Brooklyn while he was out boozing became so overheated one is in critical condition, authorities said Sunday. Kenneth Schnabel, 54, told police he’d been drinking and didn’t remember he’d left the pair of pooches in the vehicle parked on 64th St. near 11th Ave. in Dyker Heights. A passerby noticed the overheated dogs and contacted authorities about 10:20 a.m., cops said. The temperature outside had already passed 80 degrees by then and would reach a stifling 89 by afternoon. Animal advocates say a car’s interior can skyrocket to 120 degrees in just half an hour on an 85-degree day. 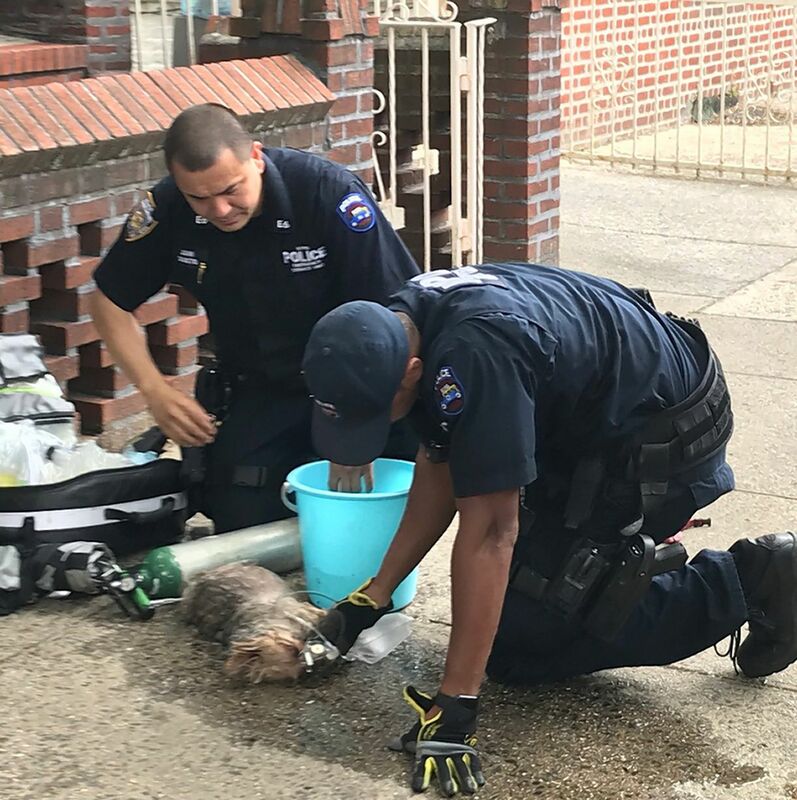 NYPD Emergency Service Unit cops managed to free the small pets. They gave them water and oxygen as they lay limply on the sidewalk, then took them to a local animal care facility. “One is in critical condition w/ a strong heart beat,” NYPD Special Ops wrote on Facebook. Meanwhile, an acquaintance of Schnabel’s called him and said he should come to his car, according to police. Schnabel, who had a knife on him, was arrested for weapon possession, aggravated cruelty to an animal, neglect of an impounded animal, and leaving an animal in a vehicle with extreme temperate. Schnabel, who lives in the Arrochar neighborhood of Staten Island, has seven prior arrests including criminal possession of a controlled substance, robbery and burglary, police said.